The Colorado Avalanche signed recently acquired goaltender Philipp Grubauer to a three-year extension, the team announced on Saturday. The extension is worth $10million, according to TVA Sports. 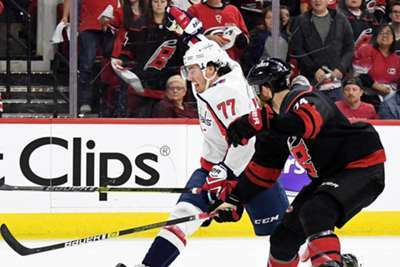 Colorado acquired Grubauer on Friday in a trade with the Washington Capitals for the 47th overall pick in the NHL Draft. The Avalanche also received defenseman Brooks Orpik in return. Orpik was put on unconditional waivers on Saturday. 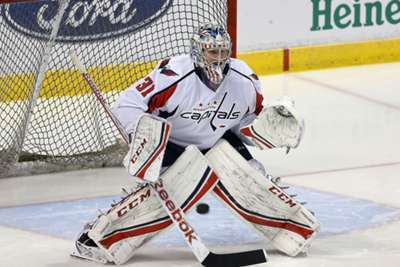 Grubauer went 15-10-3 in 35 appearances for the Capitals last season. He started the first two games of the playoffs before giving way to Braden Holtby. The 26-year-old native of Germany was selected in the fourth round of the 2010 draft and tallied a career-high three shutouts in 2017-18. "He just won a Stanley Cup. He's a winner, and that's always important. He knows what it takes," Avalanche executive vice-president and general manager Joe Sakic said following Friday's trade. "He was just in a dressing room that went through a grind. You don't win a Stanley Cup if you're not part of a close team that believes and knows how to win in the playoffs."